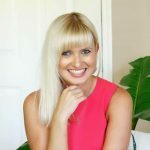 Hello friends and welcome to a new series we are launching right here on our Spellbinders blog! Quick Technique is all about sharing simple projects using our products and showcasing fun and fresh techniques! We hope you’ll love this new installment on our blog and will give some (or possibly all?) of these techniques a try! 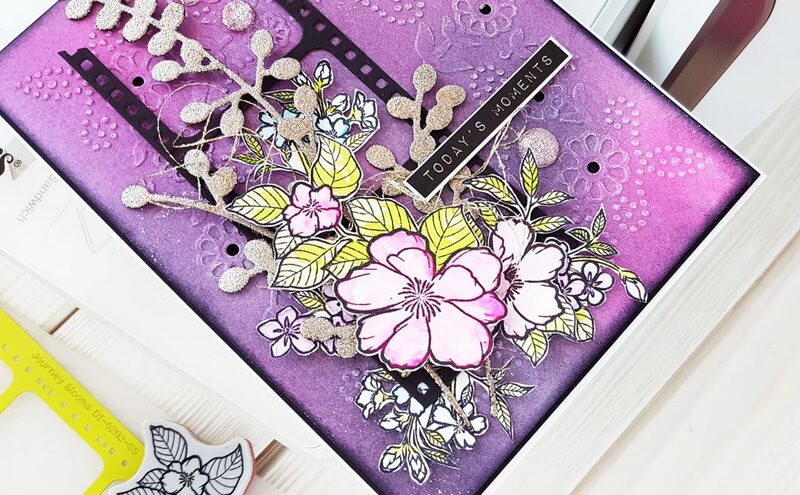 Today we are sharing a card created using S4-752 Party Kids Die from the Joyous Celebrations collection from Sharyn Sowell (you can find more inspiration using dies from Sharyn here)! 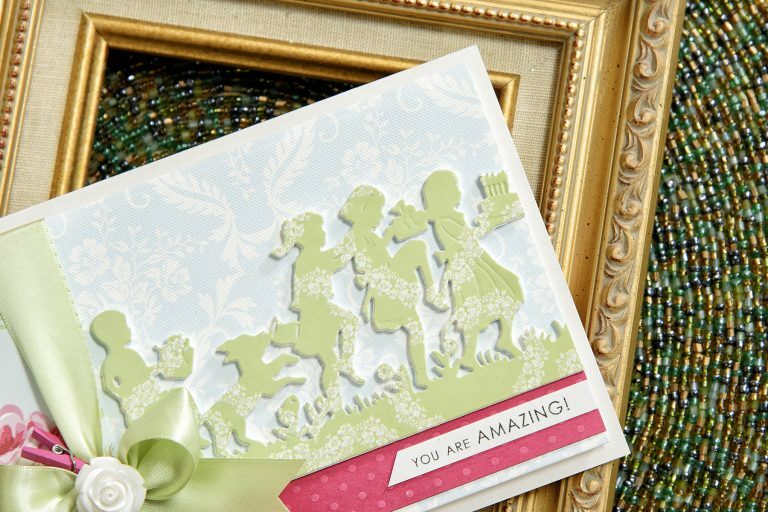 Create dimensional die cut with fun foam. Cut two 3 ½ x 6” panels (one out of patterned paper, one out of fun foam). Add easy cut adhesive to the back side of patterned paper panel and fun foam panel. Die-cut Party Kids border out of both panels. Adhere patterned paper die cut onto fun foam die cut. Adhere dimensional die cut onto the panel. 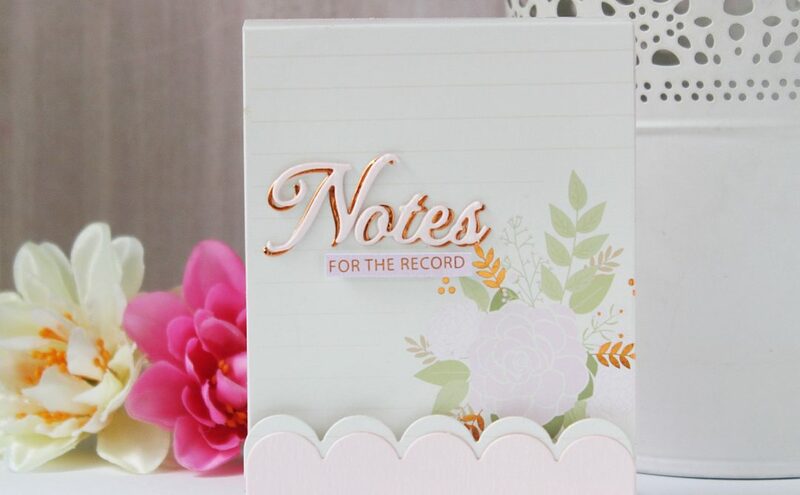 Looking for a full set of instructions to create this card? See below! 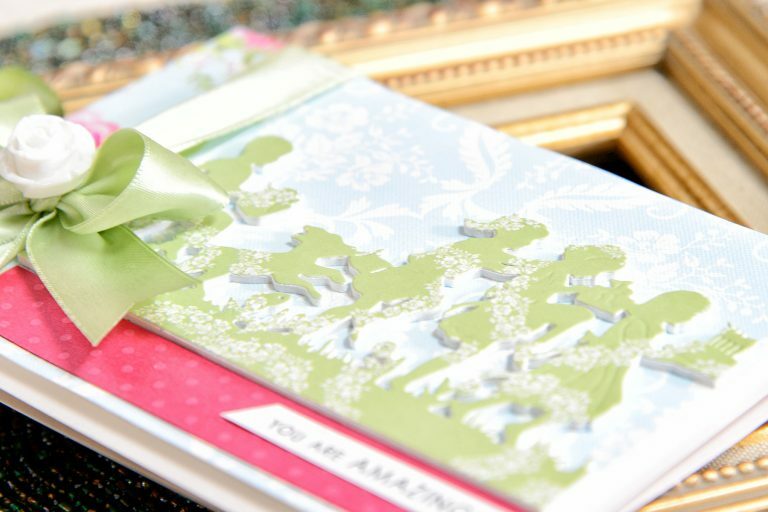 Create 5×7” top folding card base out of pearlescent white cardstock. Die-cut patterned paper panel using largest die from the 5×7 Matting Basics B set. 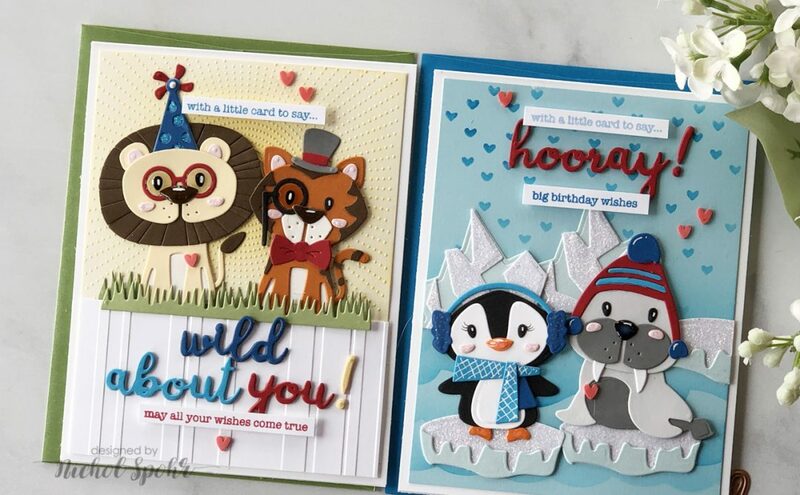 Die-cut partial patterned paper panels using largest die from the 5×7 Matting Basics B set. Adhere onto patterned paper panel. Cut two 3 ½ x 6” panels (one out of patterned paper, one out of fun foam). Add easy cut adhesive to the back side of patterned paper panel and fun foam panel. Die-cut Party Kids border out of both panels. Adhere patterned paper die cut onto fun foam die cut. Adhere dimensional die cut onto the panel. Wrap ribbon around panels, tie into a bow. Add clothespin and resin flower. Foam mount onto the card. Stamp “You Are Amazing” sentiment in black ink onto white cardstock strip, adhere onto the card. White Cardstock (Neenah Solar White 80 LB); Pearlescent White Cardstock (WorldWin); Colored Cardstock (Bazzill Basics – Dotted Swiss Rose Heather); Patterned Paper (First Edition – Pretty Posy); Fun Foam; Glue; Black Ink; Clear Stamp (Altnew); ICraft Easy Cut Adhesive; Tape Runner; Green satin ribbon; mini clothespin; resin flower. 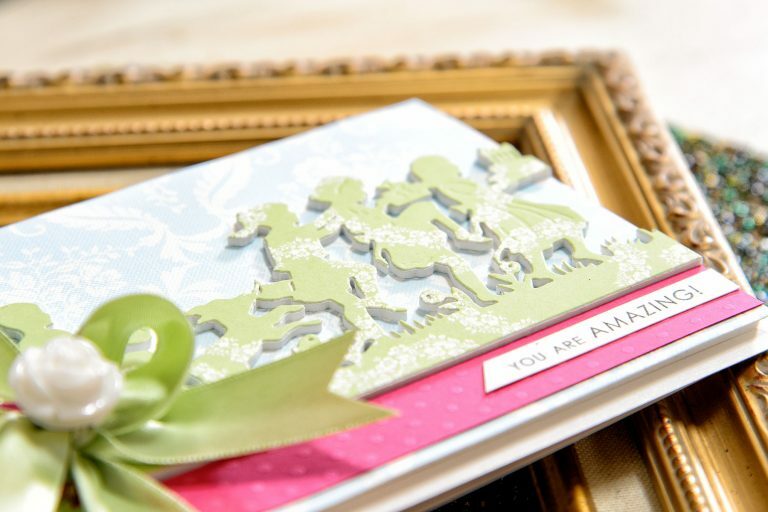 Have you ever tried die cutting fun foam and creating dimensional die cuts like this one? Let us know in the comments below! And have fun die-cutting! I thought that there was a tutorial video for this notification. If there was, I could not open it. Sorry, Sandra! The projects from the Quick Technique series do not include video tutorials, just written instructions. What a great idea! I love that stacked look to make those children pop out, I also think having those flowers flow through them gives a fun garland look to them! I just made a card today with Spellbinders dies and using stacked die cuts to give dimension too. Oh & Thanks for this new section on your blog, looking forward to seeing more tips! yay! Thank you so much, Gwendolyn! We are so glad you enjoyed it! And be sure to share your project on social media and tag us so that we can see it 🙂 Would love to see what you made! Great new series! Yana, I love this idea, and the beautiful patterned paper really sets it off! I love the sprinkle of little flowers across the children. A beautiful, keepsake BD card.